MARK KNIGHT LIKELY NEEDS NO INTRODUCTION TO SLEAZE ROXX READERS GIVEN THAT HE WAS ONE OF BANG TANGO’S ORIGINAL BAND MEMBERS, WHICH RELEASED SOME OF THE BAND’S BEST KNOWN AND LOVED ALBUMS. 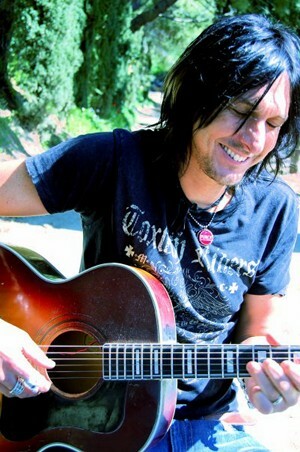 KNIGHT LEFT BANG TANGO IN ’95 AND HAS EXPLORED NEW MUSICAL TERRITORIES EVER SINCE THEN. RECENTLY, KNIGHT REUNITED ONSTAGE WITH BANG TANGO’S FRONTMAN JOE LESTE AND KNIGHT IS ALSO FEATURED PROMINENTLY IN THE BANG TANGO DOCUMENTARY THAT HAS JUST BEEN RELEASED FOR FREE VIEWING BY ITS CREATOR DREW FORTIER. SLEAZE ROXX CAUGHT UP WITH KNIGHT TO DISCUSS HIS NEW SELF-TITLED SOLO ALBUM ALONG WITH THE LATEST ON BANG TANGO. Sleaze Roxx: So, you have a new album out which is titled as your name. How do you find that this album compares to some of your previous albums that you have done so far? Mark Knight: This was completely a solo effort and the songs are kind of written from an acoustic singer/songwriter sort of perspective as compared to like a band’s sort of group effort. I kind of had written the songs real sparse. They are more about me than my past records and my own life. Seventy five to eighty percent of the record is just acoustic and my voice you know. So compared to the last two records, I would say that it’s not a band rock record. 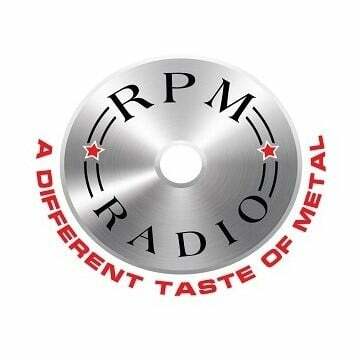 Sleaze Roxx: Why did you decide to make it so personal this time around? Mark Knight: I was going through some big changes in my own life. I went through a divorce and these songs just came out. You know I didn’t try. They just came to me as I was going to my writing class. I started in just writing some personal stuff and I figured “Well, this seems to be working so might as well make the whole record like that concept sort of record.” It just fell together that way. Sleaze Roxx: You remind me a little bit of Mike Tramp who used to play with White Lion in that both of you were sort of lumped in the hair metal category at one point and now, you have both sort of gone acoustic. What do you think about that? Mark Knight: You know, yeah. I came out of the sunset strip scene. You know, Bang Tango — we were a hard rock band. The original line-up — I was out of the band in ’95 so I’ve been singing and writing my own songs for a while now, you know. It’s been years. 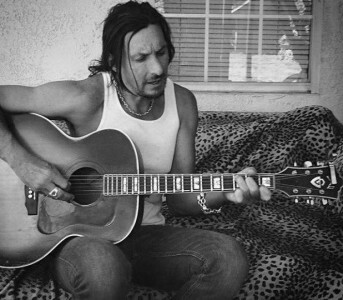 I have always been really drawn to like Americana blues rock singer/songwriter approach and I just started wiring my own songs and continued doing that. It just kind of took a natural progression. But you know, I don’t regret or have any doubts for what I have done. It’s just kinda been a hard road to cross because some of my fans want you know, a hard rock sound out of me and [to] rip on the guitar and do what I did as they know me as. But as a musician, I just do what I want. Sleaze Roxx: Absolutely. The interesting part though is that you still have a lot of fans from the Bang Tango days so they are really following you in this new adventure. If it wasn’t for Bang Tango, probably at least part of your fan base wouldn’t be there, wouldn’t you agree? Mark Knight: I would say recently the fan base that I have from Bang Tango got older and their musical tastes have changed with them as well. They have come on board with what I am doing and it’s surprising to see that over the years, I’m finally kind of winning some of them over because at one point, they were like “Nah. It’s not edge rock” or what they know me from. But yeah, I think that I have gained some fans from them. Definitely, they have helped me along to sell my art and my music out and I appreciate it. It’s just neat to see how they are kind of coming around because everyone’s musical tastes; most fans’ tastes change as well. 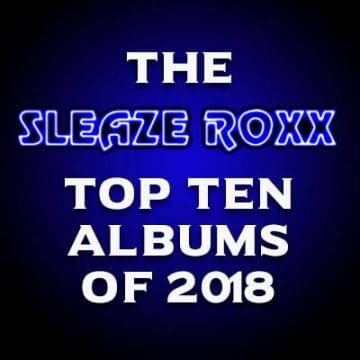 Sleaze Roxx: What are your favorite songs off your new album? Mark Knight: They’re all [laughs] — I like all of them. Favorites? I like “Do No Harm.” I Like “Whiskey And Stars.” I like “Tell Me Everything.” “Just Go” which is the single and the first track. I like that one a lot. I like them all! I wrote a whole bunch of songs and those are my top eleven that made the record. Sleaze Roxx: If someone was coming to your show as a solo artist, what could they expect in terms of the setlist? 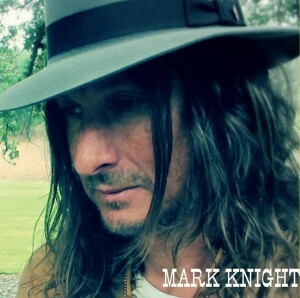 Mark Knight: Lately I have been doing a cross between Mark Knight and The Unsung Heroes which is the band, putting in songs from ‘Road Sick Eyes’ and ‘Bone Rail Tight’ and kind of rocking it out a bit. And then sort of bringing in some of these songs electric. I have also been doing a whole separate thing which is like a stripped down solo acoustic kind of gig where it is mostly the songs off the new record. Sleaze Roxx: So, you know I’m going to talk a little bit about Bang Tango. You recently reunited with Joe [Leste] and the rest of the Bang Tango crew earlier this year. How was it playing songs with Joe again? Mark Knight: I had an absolute blast! It was great! I had been talking to Joe over the summer a bit. We had been talking about maybe collaborating on some songs even; maybe doing some writing again. We just kind of reconnected again. I hadn’t seen him in ten years and finally, he’s like “I’m going to be in LA Jan. 3rd. Why don’t you come down?” I’m like “Alright!” So I just went down to the Whisky and I ended up going onstage and doing three songs with him. 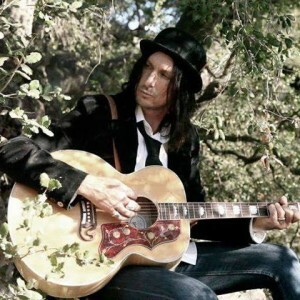 Sleaze Roxx: Current Bang Tango guitarist Drew Fortier recently released his documentary ‘Attack Of Life: The Bang Tango Movie.’ What did you think of it? Mark Knight: I think Drew did a pretty damn good job on bringing the Bang Tango story to life. There were still a lot of unanswered questions as to why the original band truly broke up! I personally don’t think we even know but for the most part, he did very will with revealing the band’s history and present day state. Sleaze Roxx: You ended up playing a prominent role in the documentary. Was it fun or painful to go through all those memories of your Bang Tango days and why? Mark Knight: I actually had fun reminiscing about the band. We lived a lot of life together in a relatively short amount of time. As far as painful, I didn’t find it painful — maybe a little upsetting on how some of the misfortunes the band went through. Sleaze Roxx: In the Bang Tango documentary, it did not seem that a reunion with Joe was possible based on some of the comments that you were making in the movie. Have things changed a lot since the movie has been filmed or the footage that you put in for the movie compared to now? Mark Knight: Well, you know what? I think I hit Joe up about a mutual friend that had passed away and i kind of reached out to Joe about him. We ended up — by the end of the conversation, we were talking about when we get onstage again and everything just sort of [got] washed under the mat. It all just went away, You know, we did do some great stuff together in the band and it’s like, “We are not getting any younger. Why not do something with it?” So I tried to do kind of a reunion this summer with all the original guys. It just did not pan out for personal reasons. Not me, but just the dynamics of bands. Couple of things went bad. Not between me and Joe, so I went down there and had a little reunion with him and got up onstage with him. You never know where it is going to go. Sleaze Roxx: Why were you planning on doing a reunion with the original members? What prompted that? Mark Knight: Because I think everybody kind of wanted to do it. You know, all the band members wanted to do it. Just for the hell of it! It wasn’t like we were going to, you know, go out — no big plans! My plan was just to get everybody together. Basically, my plan was that we’ll go do a rehearsal and get everybody on the same room again together and see if we can get that far. And we couldn’t even get that far [laughs]. Mark Knight: [Laughs] Unfortunately! It was cool reaching out with Joe again. So you know, I felt like going down to see him and getting up onstage with him again. It’s like we didn’t miss a day. t had not played with him in ten years! Mark Knight: I hadn’t even seen him in ten years! Sleaze Roxx: Can you tell me the reasons why the reunion did not pan out? Mark Knight: There were a lot of egos. There’s a lot of weird dynamics between the five members and some things just didn’t work out. Some people were just not seeing eye to eye on some of the plans that I had thought — that I had initiated with everybody. It just did not come across clear and It just did not work out. Mark Knight: [Cutting in] I have a lot of respect for what he has done, that he’s managed like I said to keep the ship afloat. He says, “I am the captain of my own ship. If it goes down, I am going to be on it.” That’s what he said. You know, I had a lot of mixed feelings for years because I did not like a lot of the musicians that he was involving in it and I just thought that it wasn’t doing the music justice. I felt that the five original guys created some amazing music together and it wasn’t getting its [fair] shake. The songs were and the music wasn’t. And I was kind of disappointed with some of his decisions and some of the people he used to play the stuff, you know, but as time goes on, it’s neat to see the guys that are in the band now — their passion for it — because they really do believe in it. They play with all their heart and soul, you know? But I think that some of the past members didn’t. Sleaze Roxx: Fair enough. And what are your plans for 2016? You’ve just released your new album. Are there any touring plans? Mark Knight: As of now, no. I don’t have any touring plans right now. I plan on doing — I am trying to get out there and do some more solo acoustic stuff ’cause that’s kind of what the record is kind of like. I have been hitting up venues in my area that I have been playing for years and just getting out there and pulling on some intimate shows; not such big rock shows. So, I don’t have any set tour dates or anything but the door is always open for what may happen. I am going to do a little bit of producing this year. I’ve got a couple of bands that I am going to produce that are flying in to LA and I’m going to do some EPs for them. Just talented musicians that have been on the way. So I am doing that. Getting up with Rhino Bucket in a couple of weeks. The band Rhino Bucket — I played guitar for them for a bit so I am going to sit in on a benefit show that they are doing and play a couple of songs. Sleaze Roxx: Cool! And in terms of Bang Tango, is there any plans of reuniting again with them in the future? Mark Knight: You know, like I said, it’s just a matter of a couple of people. There’s a couple of things that just need to get changed. I’m there and I think that everybody else is there but I don’t want to go in any details about what the problems are. It’s just a matter of some things need to be changed and then it can happen. Who knows? I mean, am I right with Joe? I don’t know. We’ve talked about doing that for — maybe another record that he’s doing with the guys he’s got now. I mean, nothing’s said. Sleaze Roxx: Fair enough. Is there anything else that you would like to add? 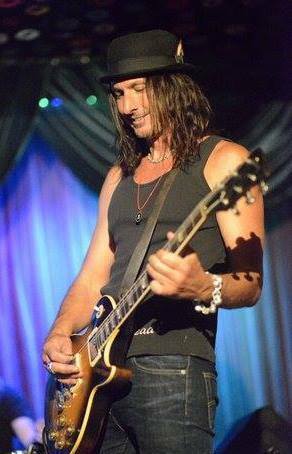 Mark Knight: Just like to thank you and Sleaze Roxx for the support with my stuff and the direction that I have chosen to go and all the fans out there that continue to like what I am doing and where I am going with it and back me up. You know, that’s it! Mark Knight’s latest self-titled solo album can be purchased via iTunes or from Mark Knight’s website. “Lies” from Road Sick Eyes by Mark Knight and The Unsung Heroes. 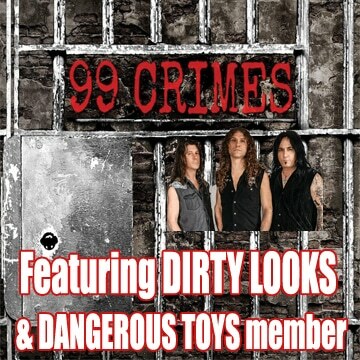 Available at https://itunes.apple.com/us/album/road-sick-eyes/id646864511 and www.markknightmusic.com. Director of Photography/Editor: Drew Fortier (upcoming Bang Tango movie).